The ultimate “thing you don’t want in your backyard” would be a 175-pound black bear. That’s just what one Albany resident had to recently contend with as the bear wandered over from a toll road and took up residence in Chris Shumway’s backyard tree. This triggered a standoff between the bear and the Department of Environmental Conservation as they tried to bring the beast down with tranquilizer darts. They missed and the bear climbed higher. Eventually, the darts worked and the bear tumbled down where the state authorities were able to deal with it. Keep in mind that at 175 pounds, this bear is still considered a cub! This raises the question of what you might have in your backyard that is a nuisance? Hopefully, it is something as harmless as piles of lumber, yard waste or an old swing set. Any one of those items could become an eyesore but they are easily hauled away when you bring in the right team. That would be a Junk King crew. These are the junk hauling experts who will make short work of your swing set removal and rubbish removal. Taking down a swing set isn’t complicated. It just requires the right tools and a little elbow grease. That’s what the Junk King crew will be providing in abundance. All the Junk King teams know how to disassemble everything from furniture to tables to hot tubs and swing sets. It’s easy to see when you need a swing set removal appointment. There will come a summer when the kids are more interested in riding bikes than swinging. Of course, they could also have outgrown those swings. Instead of holding onto the playground, why not let Junk King take it away and open up your backyard space. You could plant a decent size herb garden in the area where that swing set once stood. While Junk King is at your home, you might as well turn over the rest of your unwanted “eyesores.” That would be anything that is cluttering up the inside or outside of your home. When Junk King clears out that rubbish, you’ll be able to reclaim some very valuable space. Best of all, you won’t be doing any of the actual work. You can sit back and watch the Junk King crew breakdown, lift, load and drive off with your junk. Start the summer right with smart swing set removal provided by Junk King. This entry was posted in Albany Swing Set Removal and tagged Albany Swing Set Removal, Junk King, swing set removal on May 30, 2014 by Todd Porter. Last updated August 1, 2017 . When it comes to backyard makeovers, the best approach to take is with flowers. Any and all kinds will do. If you’ve got a patch of dirt, all it takes is a little tilling and some seeds to get you going. There are actual cans of seed mixtures that can have you springing up a wonderful array of flowers with little effort. In other words, go wild. Perhaps your backyard is dominated by a concrete patio. In that case, planters can be brought in to contain all the flowers you need to grow. You’ll find that places like Home Depot have pre-made planters. All you have to do is place the plants in a good spot and keep up the watering. Before you bring in the plants, you might want to look over your backyard at any potential eyesore that needs clearing. For a job like that, the only call you need to make is to Junk King Albany. Just because they have “junk” in their name doesn’t mean that Junk King can’t help you around the backyard. 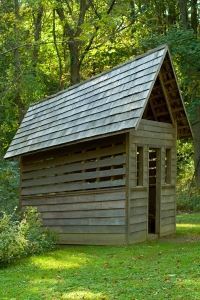 Consider that old shed you’ve got tucked in the corner. At one time, it served its purpose for keeping your lawnmower and garden tools secure. But after several brutal winters and blistering summers, that shed has seen better days. This is when Junk King comes into play. They can handle your shed removal and breakdown without a hassle. Every Junk King crew is fully stocked with all the equipment that need for a teardown. Whether it takes a hammer, screwdriver or a good crowbar, the Junk King crew will make sure the shed removal happens without anybody getting hurt. All you have to do is stand back and watch it all come down! Once your shed is broken apart, the Junk King crew will load all the pieces onto the back of their truck. This is a dirty job to be sure but that’s nothing you have to concern yourself with. The Junk King crews love to get messy! As long as they are handling your shed removal, you can also get the Junk King crew to take care of removing the rest of your unwanted junk. Around the backyard that can include swing sets, sand boxes, kiddie pools, patio furniture, auto parts and piles of lumber scraps. 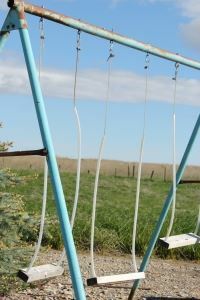 The sooner you can get those big pieces removed from your yard, the sooner you can get those flowers growing. Start your backyard makeover with a hassle free shed removal appointment from Junk King. You’re going to like how it looks when the junk is gone! This entry was posted in Uncategorized and tagged Albany Shed Removal and Breakdown, junk hauling, Junk King, shed removal on May 20, 2014 by Todd Porter. Last updated August 1, 2017 .